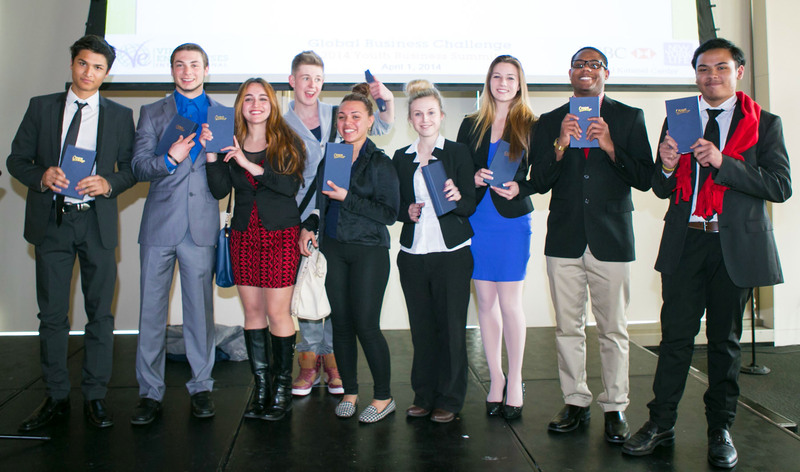 The 2014 Global Business Challenge, hosted at New York University’s Kimmel Center in the heart of Greenwich Village brought together 270 virtual enterprise students from 9 countries. 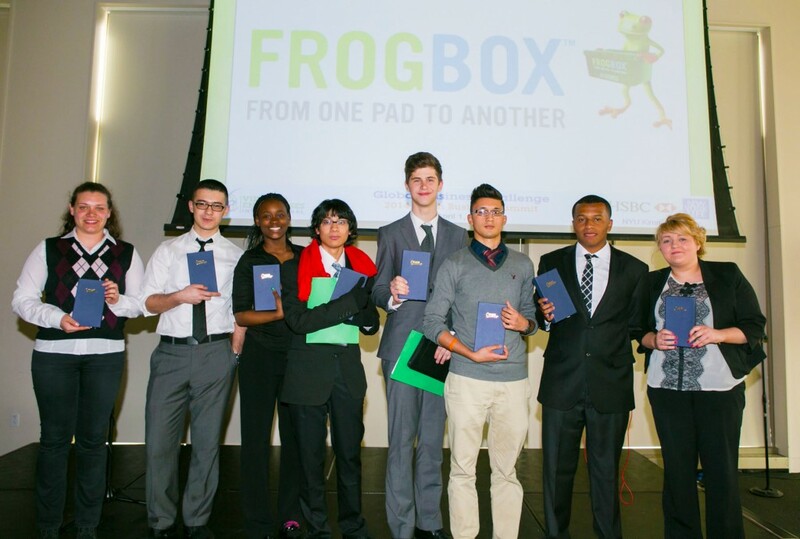 The students were randomly assigned to teams of 10 and given a challenge based on a business case study for Frogbox, a Canadian company that provides an eco-friendly alternative to cardboard moving boxes. 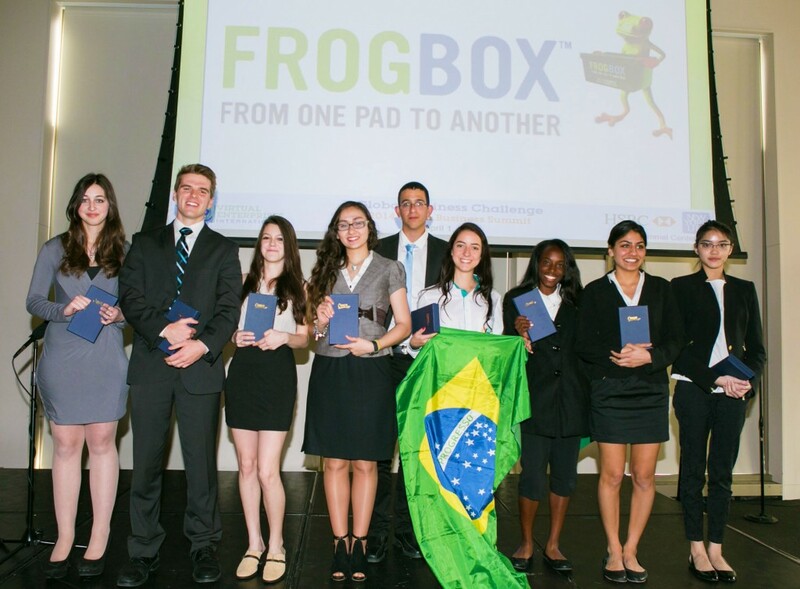 International students hailed from Austria, Brazil, Bulgaria, Germany, Indonesia, Israel, Romania, and the United Kingdom, while national students came from California, Massachusetts, Michigan, Illinois, New York, North Carolina, South Carolina, Tennessee, and Virginia. The teams overcame language and cultural barriers and a two-hour time limit to solve the challenge and present their solutions to an audience and a panel of judges. The judges, from across industry and academia sectors, found it difficult to select only 3 winning teams. To open the event, VEI Board Member Charlotte Frank introduced the days’ activities and Diane Yu, NYU’s Deputy President welcomed the students. The two keynote speakers, Joe Dussich, entrepreneur and CEO of JAD, American Bulb, and Mint-X Corporations and Bob Miglani, author of Embrace the Chaos. inspired the students to persevere, work hard and think outside the box. Check out this Summary of Participation to see where in the world the participating Global Business Challenge students came from. Special thanks to our judges for lending their time and expertise.